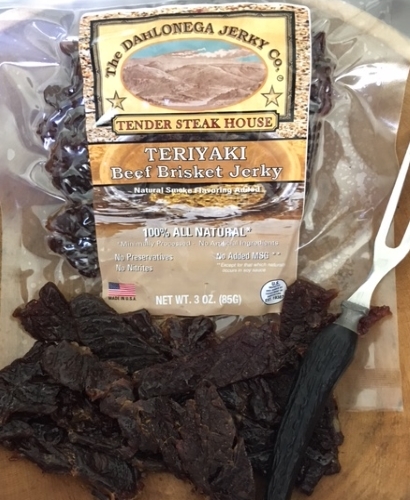 We made this jerky for Steak Lovers! Do you like eating a delicious steak seasoned with a sweet & spicy steak sauce? 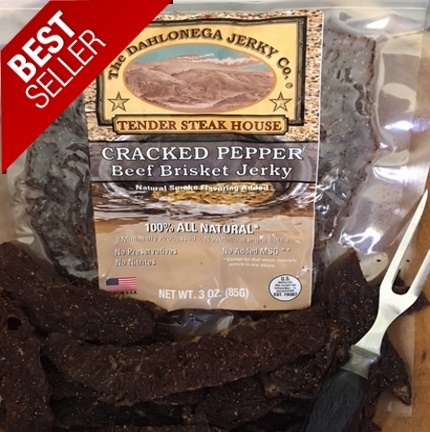 Then Dahlonega Jerky Co. Tender Steakhouse Sweet & Spicy Brisket Jerky will satisfy your craving! Flavor – first you’ll taste sweetness with mild spicy, followed by a savory hickory smokiness.